Have you ever thought of how and why education affects economic development and growth? When you walk into a trade conference and expo, do you assume that information you will get is all about business for entrepreneurs other than education for students? According to Eric A. Hanushek and Ludger Woessmann’s article published in Economics of Education (Amsterdam: Elsevier, 2010), it concludes that,＂– there is strong evidence that the cognitive skills of the population – rather than mere school attainment – are powerfully related to long-run economic growth.＂Keeping this fact in mind, the Education Division of the Taipei Economic and Cultural Office (TECO) in Houston takes every presenting opportunity, whether in a global setup or a local community outreach program to promote Taiwan. 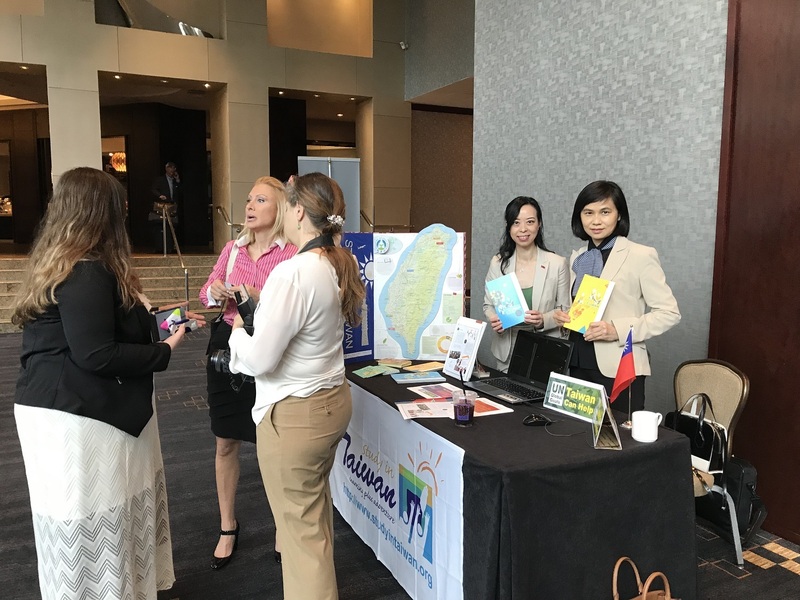 Small and medium enterprises from the greater Houston area and consulates commissioned in Houston gathered for the Houston Global Trade Conference and Expo. It provides enterprises a chance to discover trade opportunities with foreign businesses. To recruit more students to study Mandarin language in Taiwan, the Education Division provided event attendees with information on Taiwan Ministry of Education funded scholarships. Participants were happy to learn about study abroad opportunities for their children. Ambassadors and Consul Generals from several countries also presented remarks to address tariffs and trade barriers currently facing their countries and discuss how small businesses may be affected. Including the Education Division, more than 25 organizations participated in the expo which attracted an estimated 500 attendees.